What’s New in Ruby 2.6? — Ruby 2.6 preview 3 is out, the final release is just over a month away, but here’s a look at what’s in it for you as a Ruby developer. Image Placeholders for Your Development Environment — Replace broken images with placeholders using Rack middleware. 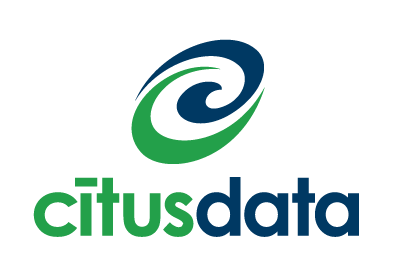 PostgreSQL Tips for Rails Created at Railsconf by Citus Devs — How to improve application performance for Rails apps on Postgres. Written by Citus engineers on the show floor at RailsConf. Featuring useful utilities like statement time-outs, marginalia, pg_stat_statements, & pgBouncer. Proc#<< and Proc#>>: An Eventual Way to Do Proc Composition? — Here’s the underlying proposal if you want to learn more. Hash Rockets Are Good Actually — One developer’s opinion on why the classic, default way of notating hashes is better than the optional, symbol-oriented 1.9+ approach. Ruby on Rails Developer - Coppell, TX — Join our tight-knit and diverse team delivering health and wellness clarity. Setting Up Local SSL for Rails 5 Development and Tests — A comprehensive approach to this age-old issue of local web development. 3 Brief Tips for Using ActiveRecord::Calculations — A follow up to a Rails performance post from 2016. That’s commitment. Avoiding Network Calls in Rails Tests Without Using Mocks — .. or stubs, or even (the awesome) VCR. Dependency injection, FTW. Exploring RubyGems Data with Honeycomb — Some neat insights into Rubygems, namely, which ones are most downloaded, the slowest to pull down, and what regions are pulling the most gems. Build and Deploy Your Next App on DigitalOcean — Try the most developer-friendly cloud platform on us with a $100 credit toward your first app. Get started. Birds of a Fiber: A Look at Falcon, a Modern Asynchronous Web Server for Ruby — Can Fibers give a web app more throughput? The answer is a resounding… “maybe”. ▶ Migrating Twitter from Rails and Powering Up with Linkerd — A 30 minute podcast chat with William Morgan, a core maintainer of Linkerd and formerly an infrastructure engineer at Twitter, where he helped move Twitter from a monolith to microservices. ▶ Four Ways to Scale on Heroku — It’s not just about adding more dynos. finite_machine: A Minimal Finite State Machine with a Straightforward Syntax — The gem is back with its first release in over 2+ years. JRuby 9.2.4.0 Released — Just a week after 9.2.1 comes 9.2.4 - releases coming fast for the popular JVM-oriented Ruby implementation.